Four years ago, David Cameron imagined London’s East End as a future “Tech City”, the hyperactive home to the UK’s digital sector, from scrappy local start-ups to global giants, all clustered around one of London’s grimiest junctions. Like California’s more famous Silicon Valley, the capital’s tech Mecca now has its own lifestyle, look, values and ambitions. What it’s still missing is its own break-out game-changer to complete with Facebook or Google or Apple, something to define itself against its US namesake. Kevin Maher hangs out with the entrepreneurs, the developers and the dreamers, and asks: what’s it like to actually work on Silicon Roundabout? In a darkened red-brick basement below a derelict back-lane building, scores of sweaty men are gathered, chanting and roaring at two luckless combatants in their midst. You know that scene from Fight Club? Where the mobsters burst into the basement and beat Brad Pitt to a glistening, splattering pulp? Well, this is nothing like that. Instead, this is Ping-Pong Fight Club, a wholesome night-time gathering of the brightest tech sparks from London’s Silicon Roundabout, and a mock-competitive midweek tournament featuring 64 players (both male and female, though mostly male), 16 rounds of table-tennis, six bright blue tables, four sassy semi-clad cheerleaders (courtesy of Crystal Palace FC), a vast array of wacky shorts, T-shirts and even wackier headbands, and a singularly woeful MC whose repeated comedic references to early Nineties Saturday TV staple Gladiators fall on the deaf ears of an audience whose mean age is pushing the upper limits of 27. The players are fielded from tech companies based in and around the ostensibly booming east London areas of Shoreditch and the Old Street Roundabout, known to David Cameron and the Coalition Government as “Tech City”. (In an oft-referenced speech from November 2010, Cameron imagined a future “east London Tech City” and promised to harness the “creativity and energy of Shoreditch… to help make east London one of the world’s great technology centres”.) But it’s known to everyone else as Silicon Roundabout, a phrase coined in a tweet from a perceptive software developer called Matt Biddulph, while working out of the Old Street offices of print business moo.com, in July 2008. The ping-pong teams thus represent the area’s so-called scrappy start-ups, included Decoded (learn coding in a day! ), Songkick (get concert alerts on your phone!) and Funding Circle (get money for small businesses! ), as well as heavy-hitters such as Mind Candy (makers of the popular online kids’ game Moshi Monsters) and behemoths such as Facebook. Although it’s not as if the event was ever going to be short of players. Official government figures revealed that the area’s business boom is very real, and that within the Silicon Roundabout postcode of EC1V, there were 15,720 new businesses created in the year ending March 2013, far outstripping any other UK postcode. The tone of the evening, meanwhile, is good-natured, and casually ironic. More Will Ferrell than David Fincher. There is beer on tap, but nobody seems to be that interested in getting blitzed (“Remember, it’s a school night,” a Mind Candy staffer will later tell me, half-smiling, half-warning). And even as the competition ratchets up, and the tables are cleared down to one, and the two sweaty finalists (both from Funding Circle, as it turns out) soak up the roaring and chanting and prepare to do battle, the atmosphere never drifts beyond the cosy, the comfortable and the cleverly aware. There is a sense, in other words, that everybody is, all the time, even now, even late on an unseasonably warm autumn night, in some way “on”. They are working. They are building the dream. They are in the process of becoming the new Mark Zuckerberg, and of championing a multi-billion-dollar business, and of changing the commercial and social face of the planet forever. At least that’s the theory. The reality is decidedly more mercurial. For with few actual valuation figures available (asking a Silicon Roundabout CEO to reveal the value of their company is, I have discovered, almost comically meaningless), and with not a single billion-dollar company to have yet emerged from the area, the unspoken and unspeakable narrative here – to my mind at least – is that start-ups all over the Roundabout have perfected the Silicon Valley lifestyle (the value of play and creativity), work ethic (anything up to 20 per cent employee time off to work on alternate projects) and events management systems (network, network, network) before they have perfected the companies. Nonsense, says Michael Acton Smith, Mind Candy’s CEO, while taking a break for air on the steps of the venue, which look onto a graffiti-sprayed car park on Holywell Lane that might once have been used for a Janet Jackson video, but now, like everything in the Tech City environs, seems unusually quaint. Acton Smith, 39, who received an OBE in the New Year’s Honours list, is dressed in pirate jacket and Adam Ant cheek-stripes. He says the Roundabout vibe is a vital component in London’s fledgling tech scene. He warms to the theme. So much so that he continues where he left off the following morning, in Mind Candy HQ, on Bonhill Street, three blocks from the Roundabout itself. The topography of this entire area is strange and occasionally disconcerting, like a palimpsest, where the cruddy, the derelict and the dangerous, has been overlaid with hipster-chic warehouse cool, but with tiny pockets of grit – like the drunks on Scrutton Street – occasionally scraping through. Mostly, though, the streets here are quiet, only suddenly bursting to life at lunchtime when a phalanx of sandwich-crazed men in safe jeans, safe trainers and safer hoodies storm the delis on Great Eastern Street, for approximately 20 minutes – literally, from 1pm to 1:20pm, there are queues out of all doors. Then it stops and they all return to their monitors and the diverse and pulse-quickening reality of high-tech work. (Actually, I’m being slightly sarcastic here, as most tech companies I visited revealed a basic work function indistinguishable from every other office job in the UK today involving sitting in front of computer screens, clicking and typing, the only difference being that in some of the graphics firms the blinds were down). “Work traditionally has been seen as something people do to earn money to live and I think that’s a really horrible way to go through life,” Acton Smith says, while chewing a handful of cashews out on the company’s fourth floor balcony (the pirate jacket is now gone, replaced by a sensible shirt and jeans). Behind him, staff busy themselves at long banks of monitors in a scene that is echoed throughout a building whose greatest concession to wacky is a tubular slide that connects the second and third floor. Acton Smith’s company, which makes money from the social-media possibilities built around his Moshi Monsters, but which ultimately makes tons of money from the licensing deals attached to those same monsters (toys, clothing, magazines, skateboards, you name it) was valued in 2011 at $200m. The value has increased since then (typically, he’s not saying by how much), which confers upon Acton Smith a godfather, if not godlike, status in an area where profits and IPOs are often a distant dreamlike imagining. Acton Smith’s excitement is echoed, repeated and rehashed, almost verbatim, by the myriads of eager, buzzing, ambitious and idealistic self-proclaimed entrepreneurs who fill the floors and occupy every spare basement cafe seat in the building across the street, aka Google Campus. But when you do spend time “on campus”, the picture that emerges of life here is as varied, un-rarefied and unremarkable as life in the rest of bog-standard UK plc. The only difference here is that enthusiasm and optimism can often slip over into a kind of quiet arrogance that’s undignified at best and unthinking at worst. Thus, while the facility is split across four floors of a renovated office building, with wannabe start-ups progressing, literally, upwards as their ideas and products evolve under the mentorship of Google honchos, the casual conversations happen downstairs, in a large cafe area that offers free wi-fi and coffee to the early birds and eager achievers who hope to piggyback to greatness on the Google brand. The company is already flexing considerable muscle, with 288 UK cafes and restaurants signed up to the scheme (you take a GiveMeTap bottle into a participant’s premises, they fill it with free drinking water), and four new water projects begun in Ghana, Malawi and Namibia. Broni-Mensah himself, a Manchester University graduate who once worked for Goldman Sachs, is effortlessly convincing. And when he speaks about how his workload has recently been accelerated by life at the campus, you get the feeling you’re witnessing a developmental machine in perfect motion – and a genuine Silicon Roundabout success story. Equally though, some start-ups leave you scratching your head and worried for an entire youth culture raised on celebrity snapshots, X Factor re-runs and the myth of the magical show-stopping moment when mediocrity is propelled into the stratosphere by an arbitrary external source. For instance, at one venture, a male (they’re nearly always male; the gender imbalance in the tech industry is around 90 per cent male to 10 per cent female, according to Google Campus staff), announces proudly that he’s using a predictive algorithm to sift through social media data in order to discover personality traits among users that might indicate impulsive behaviour, which could correlate to the need to change mobile provider every year – information which could then be sold to the telecommunications industry (“Wow,” I think as he drones on, “your mother must be really proud!”). Elsewhere, another start-up hopeful reveals he has developed an app that will allow users to make connections between the type of food and drink they eat and the amount of sleep they are having. They can then see, he says – deadpan, no joke – whether drinking coffee is ruining their sleep and thus can take appropriate action. And you need an app for this? “Oh yes,” he says, announcing he has seen a “disruption” in the marketplace that reveals there is a need for this kind of product. Disruptions are big in tech-speak. Everyone’s looking for them – and talking about them. Later that night, I attend another Silicon Roundabout event. Called Chew the Fat, it’s organised by a chipper, hirsute trio who refer to themselves and their events management company as 3beards. They are Michael Hobson (formerly in design), Bryce Keane (from PR) and Joe Scarboro (formerly an oil industry accountant), and, yes, they all have beards, hence the company name. It was, says Scarboro, a case of accidental branding, dating back to July 2012. “We were looking for a name, we were all sitting around stroking our faces, and we’ve all got beards, so we said, ‘Why don’t we call it 3beards?’ It was genius!”. They are winningly conscientious, and they are the go-to guys for networking events in the Roundabout scene, including the Friday night knees-up Silicon Drinkabout, the brainstorming session Don’t Pitch Me, Bro!, and this, the lecture series, Chew the Fat. Tonight’s show takes place on East Road, just north of the Roundabout in a venue called Bl_nk, which has something of a school-sports-hall feel to it, complete with genuinely appalling acoustics. The subject of the night is venture capitalism and the star is undoubtedly Simon Cook, a 44-year-old Birmingham-born, Canadian-raised venture capitalist from DFJ Esprit, a partner of tech-investors Draper Fisher Jurvetson which has previously funded giants such as Hotmail, Skype and Bluetooth. Before we get to Cook, however, there are more pitches from more start-up leaders, buzzing around the hall and sipping slowly from the night’s trademark 3beards lager called, cheekily, Fail Faster (it’s a tech motto meaning if you’re going to fail, do it quickly and move on to the next iteration of your dream!). From this group, I am treated to an introverted young male entrepreneur who’s developing a device that can work, he claims grandly but without specifics, across platforms and will enable advertisers to reach their target audience. Which is always good. Cook, a rock’n’roll figure with a blonde faux-hawk and some billion-dollar swagger, eventually arrives, and his message for the Roundabout is both sweet and sour. Yes, he says, there are millions to be made from today’s tech businesses. And yes, there are millions available from his venture fund to help boost these businesses. But don’t, he warns, expect him to hand over money to anything but a reputable and established company with a proven business model. Money for ideas alone isn’t going to cut it. Oh, and he says, this whole Silicon Roundabout story? It’s somewhat overdone. What? The South East of England? What about the Roundabout? What about the dream of David Cameron and the Coalition? Remember? The creative energy of Shoreditch that’ll help make London one of the world’s great technology centres? Taking my cue from Cook, I abandon the entire area and head instead for the leafy, semi-residential streets of Borough, south London, home to SwiftKey, the Android phone app (it’s like predictive texting and then some) that, in the space of three years, has amassed some 150 million users, and has fired SwiftKey up to the top of Wired magazine’s hottest London start-ups. SwiftKey’s co-founder is 34-year-old Ben Medlock, who has just returned from a networking meeting at 10 Downing Street when we meet. SwiftKey is based in a large, anonymous brown brick building next to a Shell petrol station and beneath an Overground line. There are no hipster cafes nearby. And no phalanx of tech nerds in hoodies on the pavement (although, reassuringly, I did see a drunk with incredibly white trainers stumble by). Nothing at all to indicate excitement, cluster or innovation. So why did Medlock and co-founder Jon Reynolds choose their location? The vibe? The energy? The hipster chic of it all? Nope. It’s because it is equidistant from both of their flats. Taylor James, who specialise in digital photographic work for high-value corporate and commercial clients (including Vertu luxury mobile phones and Russian Standard vodka), and who are based in a five-storey building far east of the Roundabout on Curtain Road, have been in the area for 10 years. And in that time, they’ve watched the start-up influx with something approaching bemusement. “They all think that they’re going to be the next Facebook,” says Roberts, who prides herself on her business-oriented mind. “And lots of them are very enthusiastic, very creative and talented, but they often don’t understand the needs of great corporate beasts, whereas we do. She stops herself. She’s trying to explain something that’s beginning to sound silly, or at least gushy, but there doesn’t seem to be any other way around it. This thing that they’re doing here, that everyone is doing here. 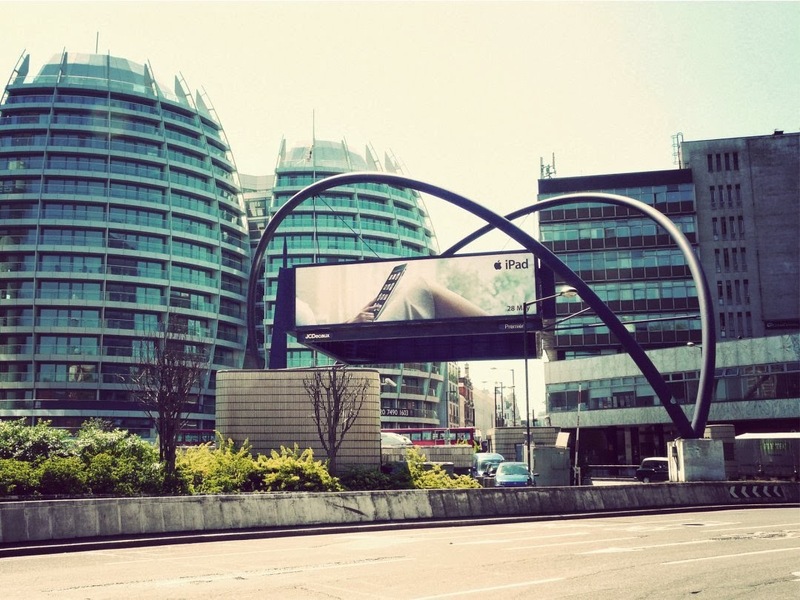 This project, this game-changer, this Silicon Roundabout – it’s a dream, but it’s also real. And the reason so many people don’t “get” it is because they don’t get the root of it, or they don’t get the tech itself. “There is something that’s interesting about developer culture generally,” Parsons says, reaching for the right words. “A lot of people are surprised when they learn about what ‘open’ really means, and what the web really means, and who has created these languages. Because it’s so at odds with older corporate culture. I think she means, in short, that if it all seems a bit airy-fairy and dreamy and a bit bluffy and make-it-up-as-you go-alongy, that’s OK because they’re doing it with passion and they’re doing it together. Some will fail and some will succeed, and the ones who succeed will help the failures to come along with them, either through example, or actual practical help. At least, that’s the theory. Back at Ping-Pong Fight Club, the two combatants face off for the final. There is much roaring and chanting. But, in the end, Rahul Pakrashi from Funding Circle wins, beating Helene Hjelmvik, also from Funding Circle (she is also rumoured, according to some wags on the night, to have been in the Swedish national table-tennis squad). The final table is taken away and the night becomes a modestly sized disco. The venue closes down at midnight. This is a Wednesday, a “school night”, so most people tootle off home. A few go on for an after-party drink. But it’s nothing heavy. It’s kind of a work thing. In the morning, the streets will be clean. There is no puke. Marchi Mobile: The ultimate land yacht? B..AOK - THRYLOS : 0 - 2 ! GAME 3 : Olympiacos - Panathinaicos..93 - 74 or " A FATAOULAS THRYLOS " !! Who in the universe is listening to The Beatles? "My goal is to make some broken hearts to smile for a while, or some people to feel "rich", or set ones to think....."